There are a lot of tired people in Jerusalem, Israel this morning. But how did I miss something so large and so obvious last week? I walked right by this massive welcome sign and did not notice it. 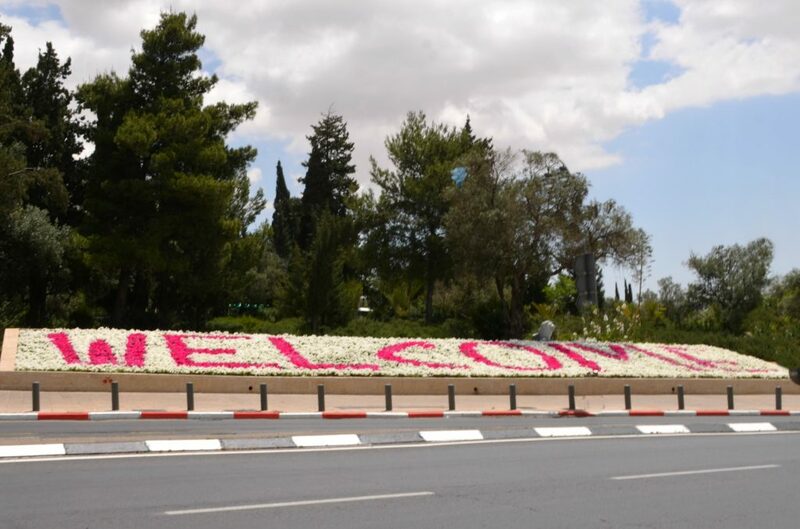 The huge floral welcome sign with pink flowers near the Montefiore Windmill was to welcome last week’s international cycling event. I walked right by, looking at the street and obsessed with taking photos of Giro d’Italia. The riders and crews have moved on to Italy, and now back to ‘normal’? No way. No down time in Jerusalem, Israel. Last year for Yom Yerushalayim, Jerusalem Day, 50 years since reunification of Jerusalem, there were large flags, special 50 years and US flags flying. 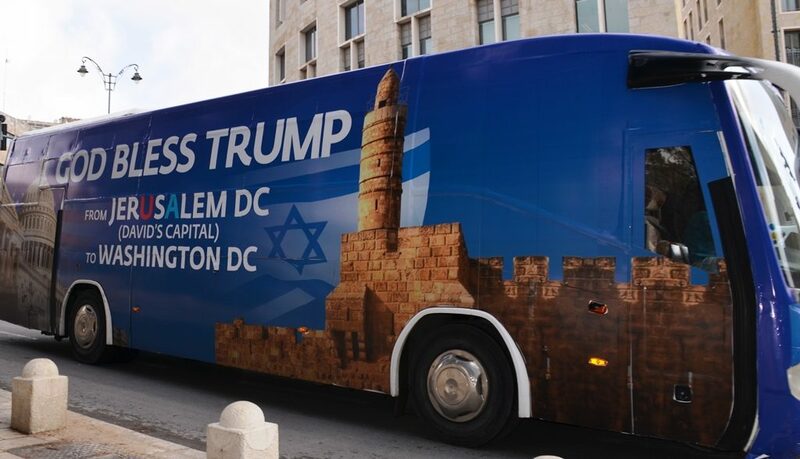 There were not only huge and many signs posted by the Friends of Zion, there were buses blessing Trump. 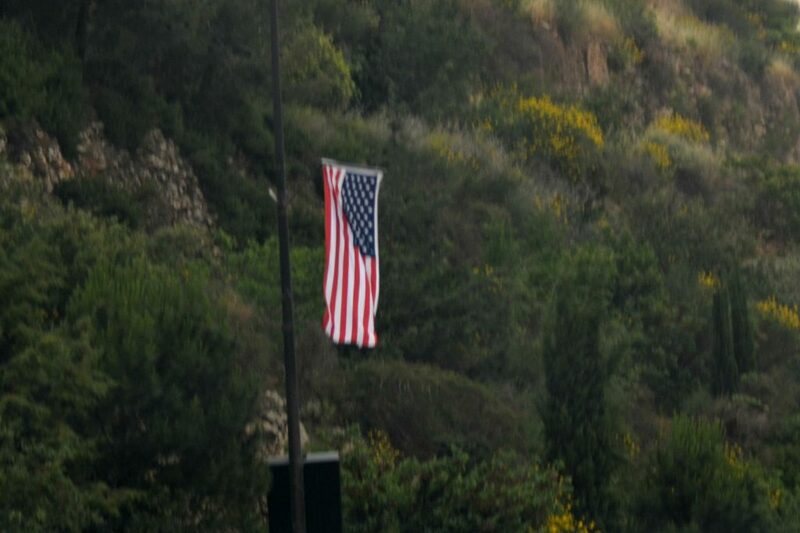 This week flags were up again along the entrance to Jerusalem. 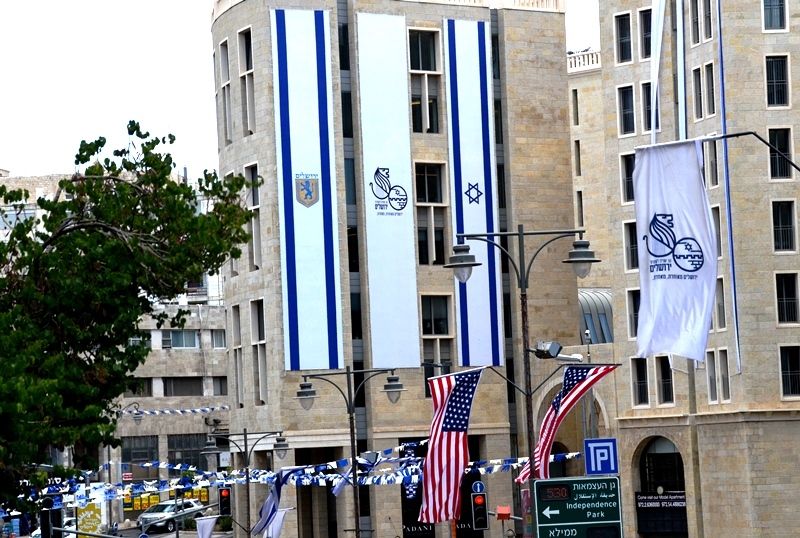 The Ministry of Foreign Affairs was ready to greet the official US delegation for US Embassy opening in Jerusalem. 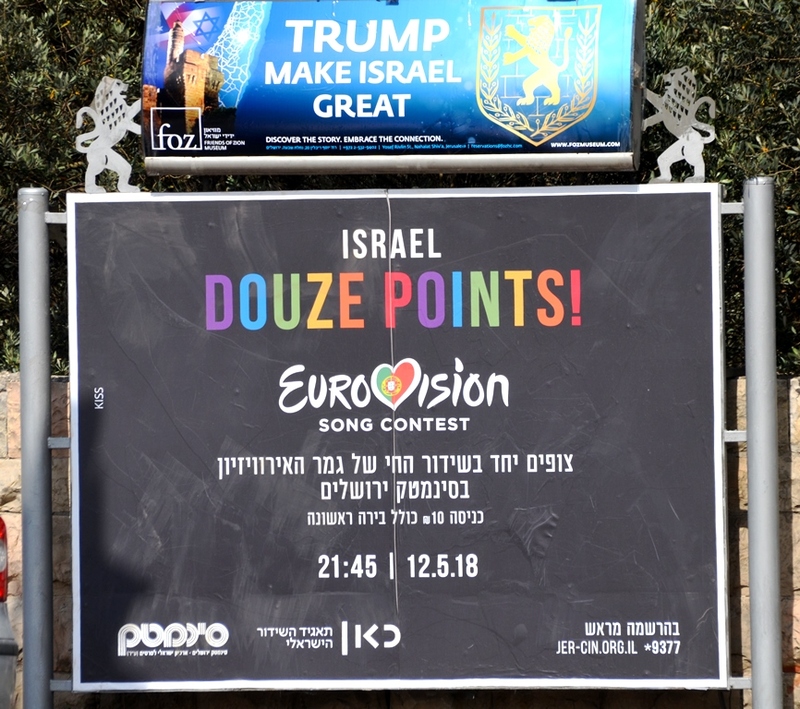 But, besides Yom Yerushalayim and US Embassy opening in Jerusalem, there was Eurovision. For many Americans, it is hard to understand the appeal, the “music” or the entire event. 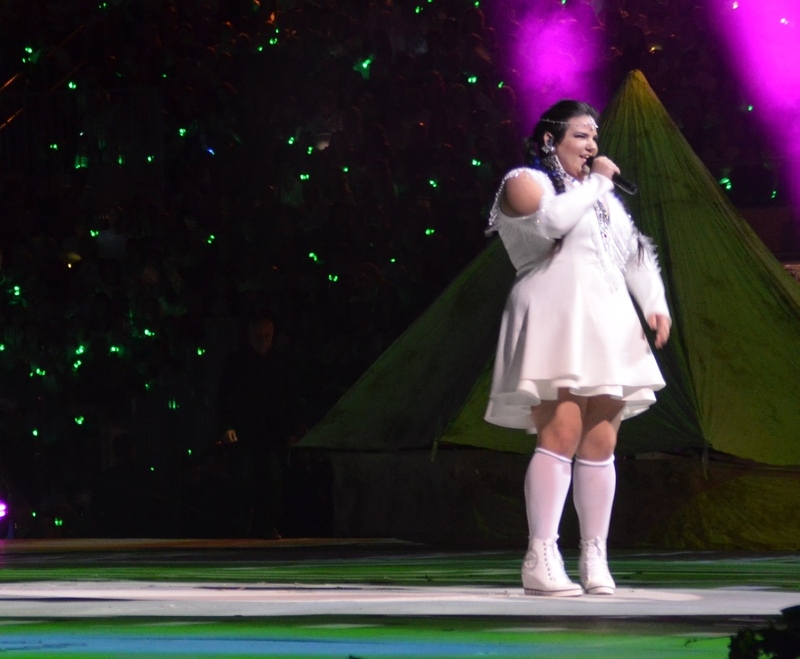 However, Netta Barzilai who also performed live at Har Herzl for Yom Haatmazut, Independence Day – WON. Israelis stayed up past 2:00 am to watch the results. Her song “Not Your Toy” was chosen most popular in the voting competition. The winning country hosts the Eurovision Song Contest the following year. Israel has won 3 times in the past. So when Netta announced, “Next year in Jerusalem,” even many who hated the song and competition, swelled with pride. 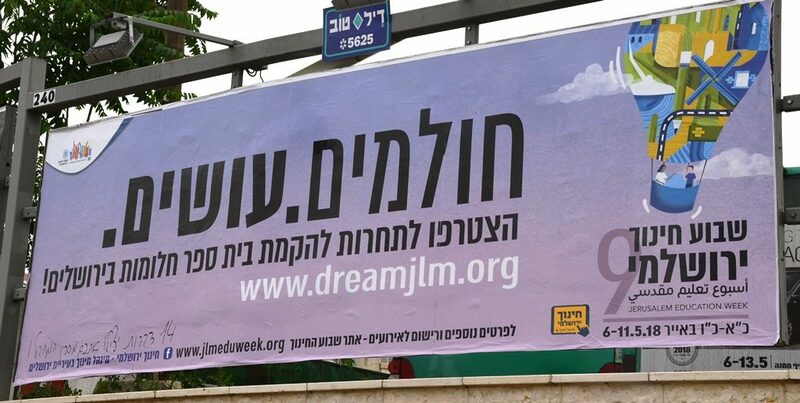 How fitting the signs for this education week in Jerusalem. Dreams. Do it. Go to school and build on those dreams. 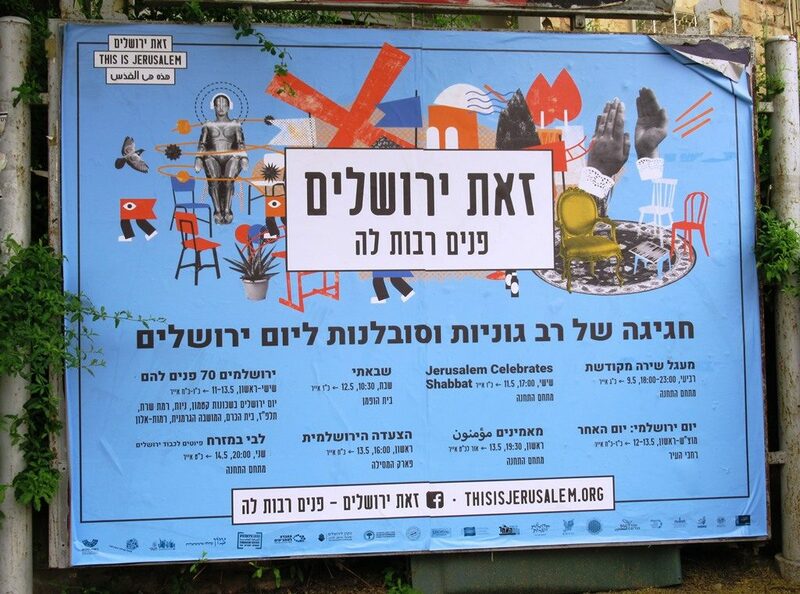 This is Jerusalem, so many faces, free tours and events for Yom Yerushalayim abound, way too many to list. The US Embassy opening is a closed affair. It will be live streamed and covered by hundreds of international press who arrived for the historic moment. 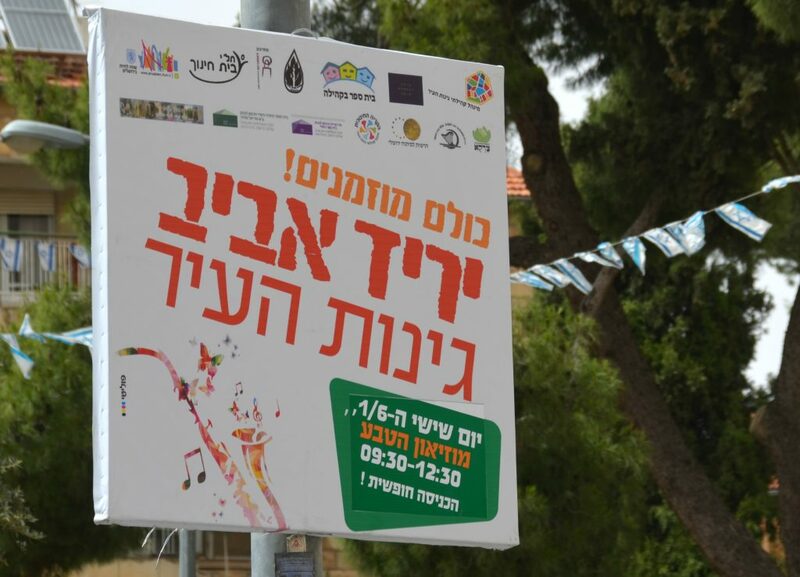 However, everyone is invited to celebrate in the city parks. 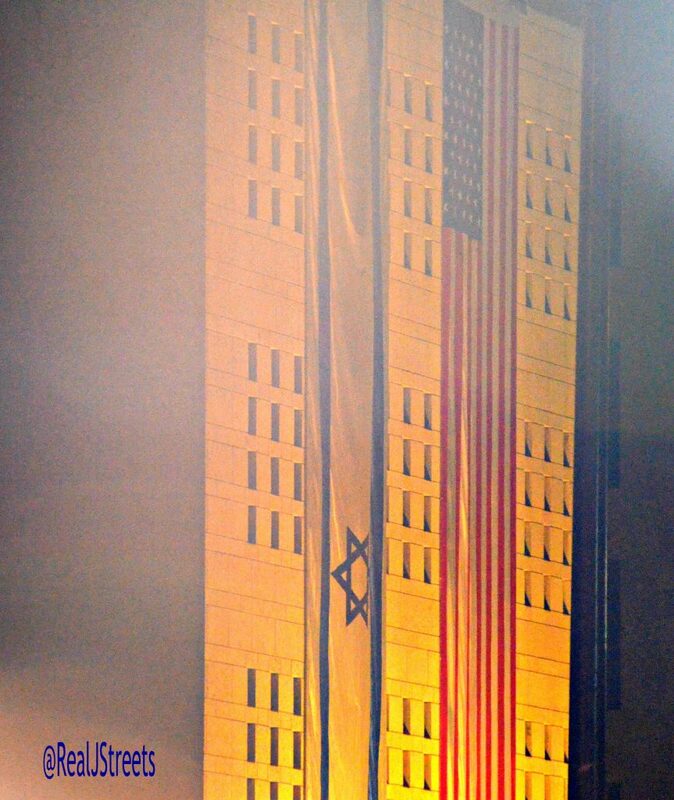 Yom Yerushalayim may not be observed throughout the world, and even Israelis tend to overlook the day. But on Shabbat in Jerusalem, 1000 people attended special morning services at the Great Synagogue, where Mayor Nir Barkat was invited to speak. At night and in the morning, special prayers of praise were sung at the Kotel, Western Wall, Tayalet, and synagogues. Thankful. 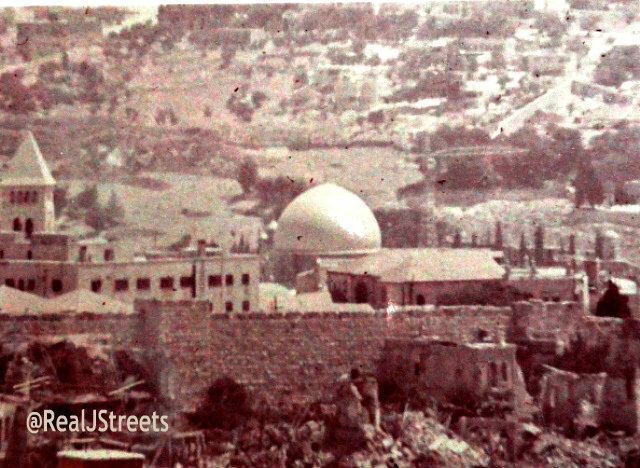 Remembering from 1948-1967, this was as close to the Old City as Jews were allowed during 19 years of Jordanian occupation. Jerusalem reunited, restored, and growing. Now off to celebrate Yom Yerushalayim in Yerushalayaim. From what year is that older, very cool photo?